If you are a gamer, then ‘the Sims’ should be very familiar name to you. Latest edition of ‘the Sims 3’ is out and here is free goodie pack to get the Sims experience on your desktop. 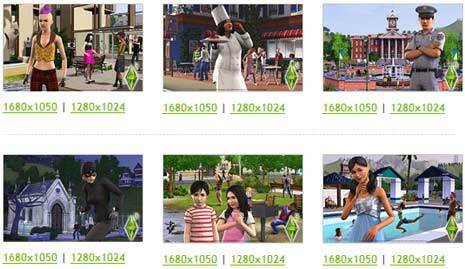 Checkout official Sims 3 wallpapers pack. Besides logo, wallpapers feature characters and moments from the game. Download The Sim3 wallpapers and dress up your desktop. There are 11 wallpapers each available in 2 different resolutions of 1600×900 and 1024×768. Download and enjoy!